You know when you’re blah and everything is just off? You’re pretty sure you will never like writing again. When the phone rings you sigh. An email in your inbox is a chore – like mopping the floor chore. Shopping loses its shine. Even chocolate has let you down – yeah, I was doing all of that for a while. After a ho-hum summer, fall has been gracious and I’m breathing deeply again, reviving a flattened self. I’m thankful for the beauty of the outdoors and I no longer judge the person who puts her dog in a stroller or straps this dog to her body. (Okay, I still judge a little. It’s not a baby!) I found art for the bare walls in my living room and dining room. The basement is cleaned up and organized after the kids shouted at me to HELP! I had promised to help and then I got sidetracked upstairs, trading cleaning for chocolate. Eventually I gave in to the guilt, unable to ignore their cries. And the best part of my rediscovered zeal for life? I’m working on the acknowledgments page of my book which means I get to thank the people who helped me. Actually, I’ve been done for about 2 weeks. I just can’t hit send. I can’t part with it. It’s one of the last pieces to my story and maybe the piece I enjoyed writing the most. As I sat at my computer, I thought about the journey – the heart in my fingertips beginning, the agony of the middle, and the rush of finally, of the end. Writing and risking. Querying and rejections. Acceptance and contracts. Revisions, revisions. And now. While I applauded the people who supported me, listened to me and made-me-do-it-anyway, I felt grateful, loved and honored. I’m especially honored by you guys. Honored that you read my blog. Honored by your encouragement. Honored by your belief in me. Beyond honored, I’m humbled. With all my heart, thank you. You’ve helped make this book a reality, a dream come true. I’m thrilled to be featured at She Knows as one of the top 10 inspirational bloggers. I’m #2! Last week I received this good news from Jessica Watson, the lovely author of the article. I am filled to bursting. Check it out and visit the blogs of these amazing women. This entry was posted in grateful, inspirational, writing on November 8, 2012 by heidi. I am so glad you’re coming around. I think I have told you this before, for an author I worked with about two years ago once told me that writing a book is a lot like having a baby. You are just spent and done when it’s over and it takes a while to come back to the living after that. Hitting that button to send the last piece of your book – of you, really – is filled with joy and fear at the same time. Glad it’s done and worried what will happen next. I haven’t figured out myself what comes next, but I know you and me, we are going to be OK. yay.yay.yay!! I have unwaivering belief in you… i know that belief in ourself faulters, it pulls back and exposes too much of our heart to the outside elements. But darlin’ from the first moment I read your words I had faith in your path. in your words. in your heart. All good things coming your way, my friend. To me, you’re gratitude personified. Awesome news on the book! You are truly an inspiration. This is beautiful, Heidi. I can’t wait to read your book and I’m so glad you’re feeling un-flat again. Your words have helped many a flattened reader, including this one revive their spirit and breath deeply again Heidi. Glad to hear you’re on the upside of down again. This is awesome, Heidi. 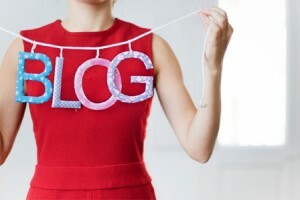 I’d put you at #1 of these inspirational bloggers, but #2 is also fine! I’m thankful that you are feeling revived. That’s good news. That blah feeling you mention is beyond frustrating and is difficult to pull out of . I wish I could be as generous and not judge the dog in the stroller person but I’m not there yet. I feel bad for the dog who just wants to be a dog. I’m off on a tangent. So I’ll just say Congrats and I look forward to your book! Wow! Congratulations for the feature. And I loved your post.